← Modular hospital: my first modular building! 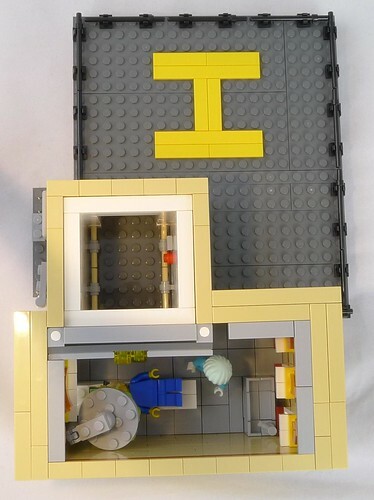 Last time I talked about my modular hospital, but the only thing I showed from the inside was the elevator door design. 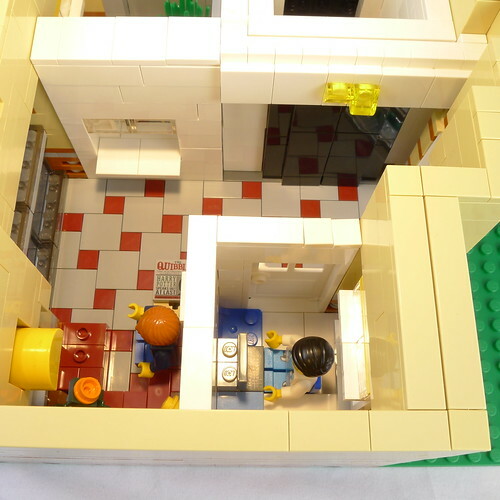 I wanted my hospital to have a full interior, filling all sorts of functions a hospital should. Obviously, my hospital is too small to have everything imagineable, but I think I managed to squeeze in enough to make it seem like a fully functional hospital. The ground floor has the reception, a waiting area and a doctor’s office. Quite tight spaces, the receptionist is the only one who has a fairly good amount of space. The doctor’s office has a chair for the patient and a patient bed, but I would say it’s a bit hard to move around in there 😉 The waiting area has room for three people, and has a couple of plants to keep them company. The first floor has a maternity ward. It has room for three birthing mothers, four babies, and seats for the anxious dads to wait outside. One of the last minute add-ons to this floor, that ended up being one of my favourite interior details, is the water cooler. The second floor has the cafeteria. It’s used by both visitors and employees. It serves a healthy menu, but also sells some treats like croissants 😉 This floor also has an MRI machine. 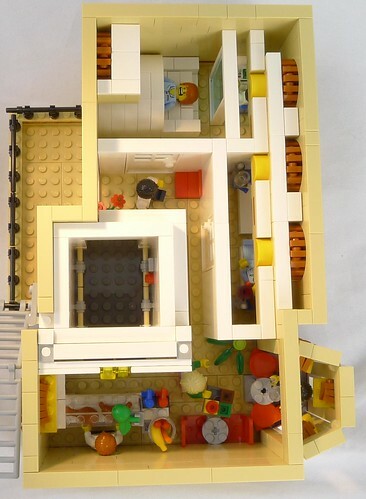 That one was not easy to make both functional (able to fit a minifig that could slide in and out), look like an actual MRI machine, and fit into the tight space of the hospital. The operator of the machine is shielded behind a glass wall. The last thing on this floor (except the balcony) is a room with bedding for two patients, which was excruciatingly hard to photograph because of the obtrusion the window design is making on the inside. Last thing my hospital had to have was an operating room, which has an operating table, a big lamp to provide enough lights, a monitor and a sink for the surgeons to scrub in. This shot also shows the helicopter landing pad, which can be used to transport patients who can’t be treated at this small hospital to a larger one. 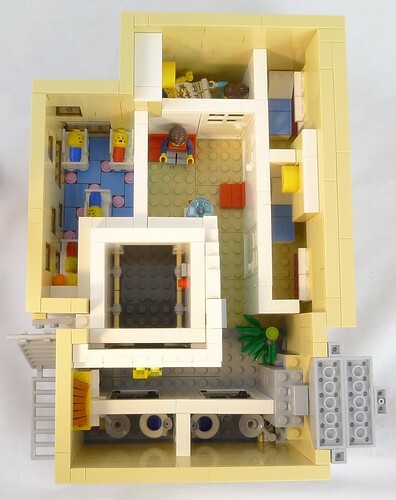 I like your attempt on the modular hospital. The babies in the maternity ward had me in stitches. So clever.